RBC Signals has signed a worldwide agreement with ANTRIX, the commercial arm of the Indian Space Research Organisation (ISRO) to provide space communications services to satellite operators. 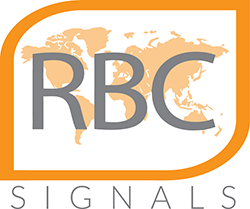 The relationship enables RBC Signals to support an extended range of satellite communication bands, while significantly expanding RBC Signals’ global ground station network. The ANTRIX agreement expands RBC Signals’ capabilities to include support for C-, Ku-band, and Ka-band communications, with these three bands joining existing capabilities in VHF, UHF, S-, C- and X-bands. RBC Signals supports LEO satellite operators as well as GEO Launch and Early Operations Phase (LEOP) and orbital slot transfer missions with global communications services. This agreement with ANTRIX now allows RBC Signals to also provide support for missions beyond Earth orbit, including Lunar and Deep Space missions. The company is notable for being the first in its sector to combine the excess capacity of existing ground stations with RBC-owned antennas across the globe. Providing this hybrid infrastructure as a service delivers valuable benefits to operators including flexibility and cost-efficient pay-as-you-go service options while ensuring real-time, low latency services. As part of the partnership, ANTRIX antennas join the RBC global ground station network. The Indian stations include antennas in Hassan; Bangalore; Lucknow etc. RBC Signals’ global network includes more than 62 antennas at over 41 locations across the globe. Christopher Richins, Co-Founder and CEO of RBC Signals, said that India is a major participant in the global space industry and this relationship is significant for us as it broadens the firm's offerings and infrastructure in meaningful ways.